Sugar Land, Texas – Major James Douglas has passed from our midst, but not from our hearts and memories on September 27th, 2016. For twelve years, he served the Civil Air Patrol with hard work and true dedication. 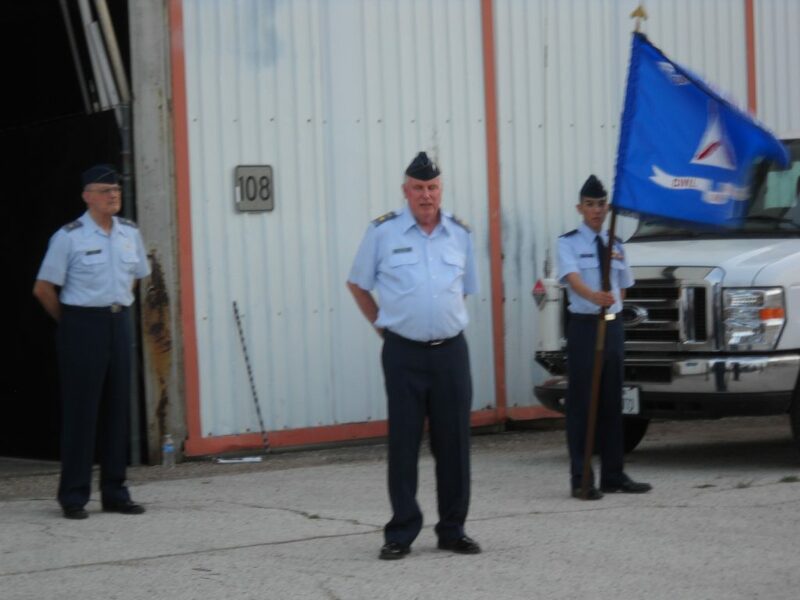 He took over command of the Sugar Land Composite Squadron on June 11, 2013. As a commander, Major Douglas inspired seniors and cadets to reach high levels of excellence, instilling in each, a desire to learn and progress. He held a Masters rating in Cadet Programs and served nine years with cadet programs, and served on at least twelve encampments as a beginner Tac Officer, Chief Tac Officer and Deputy Commander. Major Douglas always volunteered for directing and teaching the CLC class as well as mentoring the different school of CTEP. On becoming a squadron commander, his desire to motivate all members to become proficient assets of the Civil Air Patrol organization. James worked hard to realize his dream in owning a successful architectural company. He designed many area residences, churches and schools. He also served as a Board of Director member for the Cypress Christian School. This accounts for his success in guiding cadets to accomplish their goals in Civil Air Patrol and in their personal lives. Major Douglas will be greatly missed as a true friend, a humanitarian and great team member. We will remember his warm friendly smile. Click here to access his full obituary and service information.